Not a lot to show you yet, but I have been doing a bit of sewing for our workshop project. 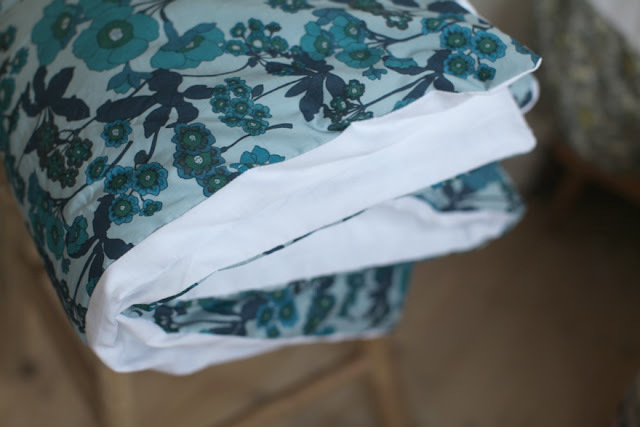 I made a cushion cover, quilt cover, curtains and I covered two lampshades (not shown, as I forgot to take pics!). After work one day, we took a trip over to Notting Hill to go to our favourite fabric shop, but it was closed! So I ended up buying some Liberty print fabric on Ebay instead to cut the cost a bit and some lovely white fine lawn cotton for the bed clothes, which I'm really pleased with. Ebay really is coming up trumps these days! 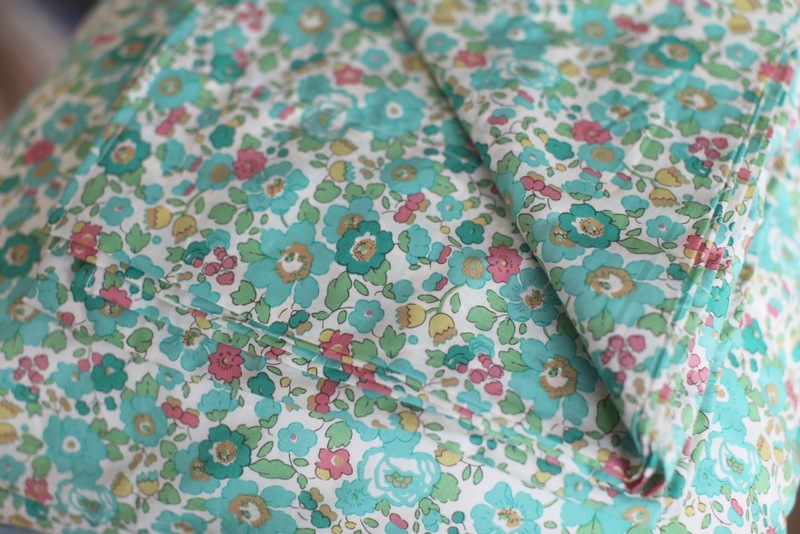 I'm also loving that blue floral Liberty print fabric, so I'm thinking to keep that one for our home and make another one for the workshop! What am I like, eh? Anyways, the curtains are to hang on the side of our old shelf unit that used to be covered in muck from jewellery polishing and oxidising. Nao has sanded in down and re-painted the top. We have all our kitcheny bits on it (mini fridge, microwave and tiny washing machine!) so the curtain will hide all that. A bit confusing I know, but it will all make sense when I show you later, honest! Can't wait to see it all, no doubt it will be fab! Have you already made a post about fabric shops in London? Hello, Its called The Cloth Shop. They do mostly upholstery fabric and linens. Thank you very much Artemis! I love these fabrics! Can't wait to see what you do :) I have been following your blog for some time, but haven't done it in a while, for some odd reason. I checked in now, and WOW I love what you've done with the blog design! Looks lush :) Keep up the good work! I have just bought that Liberty fabric from the cushion and bottom photo to make pocket squares and bow ties for the boys at our wedding. Also from ebay! I'm even happier with my choice now! Looks promising! Can't wait to see the rest! I just adore Liberty Betsy fabric - in every shade! 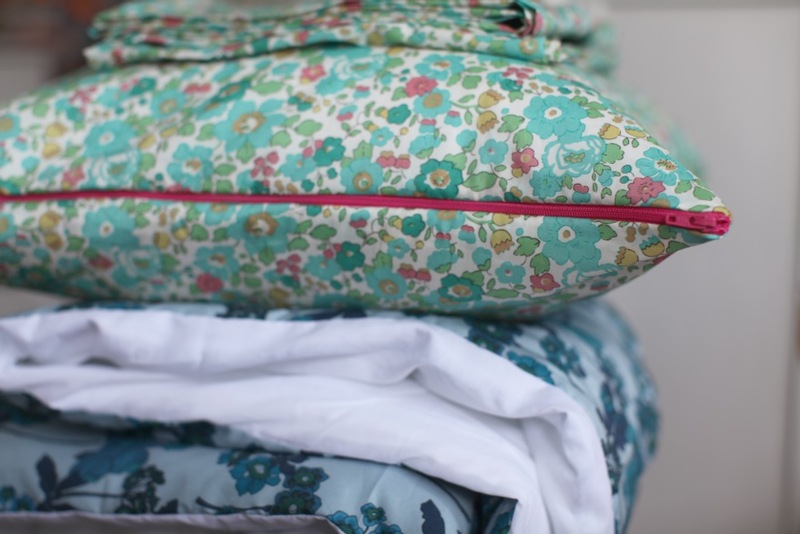 I love all these lovely Liberty fabrics. I can't wait to see what's happening at your workshop. I love the blue one a lot too! Went Liberty earlier this week and had great time looking at the fabrics.